I’ve been toying around with the following question for a while; we talk about the stunning personality of the wines of Santorini, with their benchmark saltiness and uncompromised combination of high acid and alcohol. We also proffer the long ageing potential of these wines. But, what do we really know about their ageing potential? How did we arrive at this presumption? In one of my previous articles, The Question of Santorini Prices, Mark Andrew MW of Noble Rot commented that “if the producers want to see prices continue to rise then there is still a lot of work to be done - both in terms of communicating the message of the island's unique terroir to an international audience, and in pushing the quality of the wines to the next level”. This would definitely put ageing potential at the centre of our attention, as it satisfies both of the conditions stipulated by Mark. 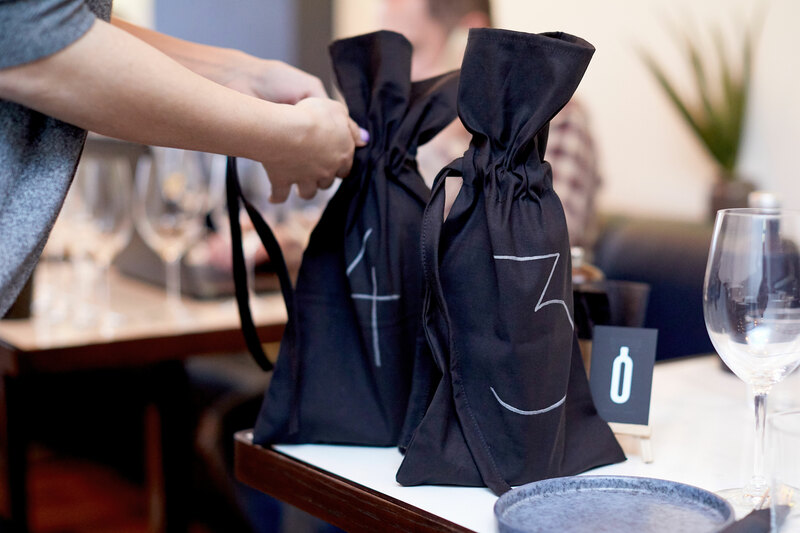 It indicates quality and it communicates the message of a truly distinctive wine. However, the truth about the ageing potential of Santorini wines is rather anecdotal. 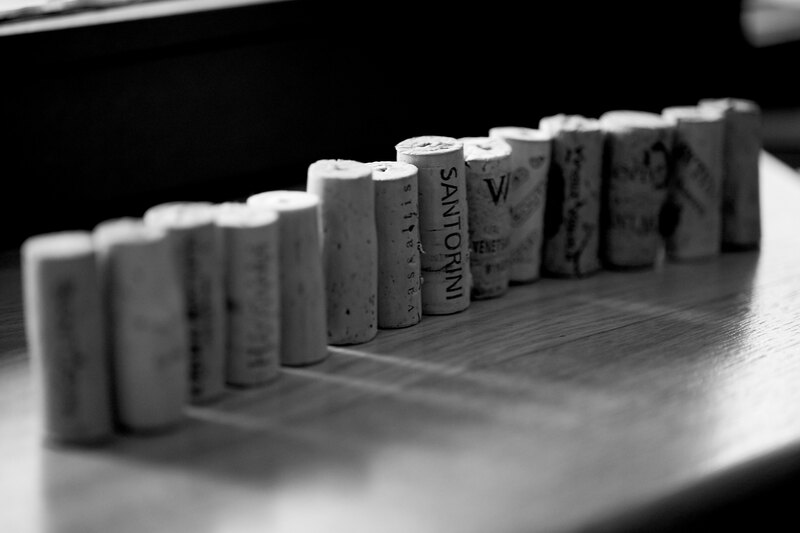 How many mature wines have we tasted with more than a decade of life? In actuality very few; a handful perhaps. In my e-book “The Vineyards and Wines of Greece” I covered the ageing potential of the main Greek varieties. When I referred to Assyrtiko from Santorini I wrote “drink your Santorini 6 - 10 years after the harvest and go even further for top examples…’’ This was my initial estimate and viewpoint, but I wanted to be able to be more specific. Inevitably, a blind tasting needed to be arranged. 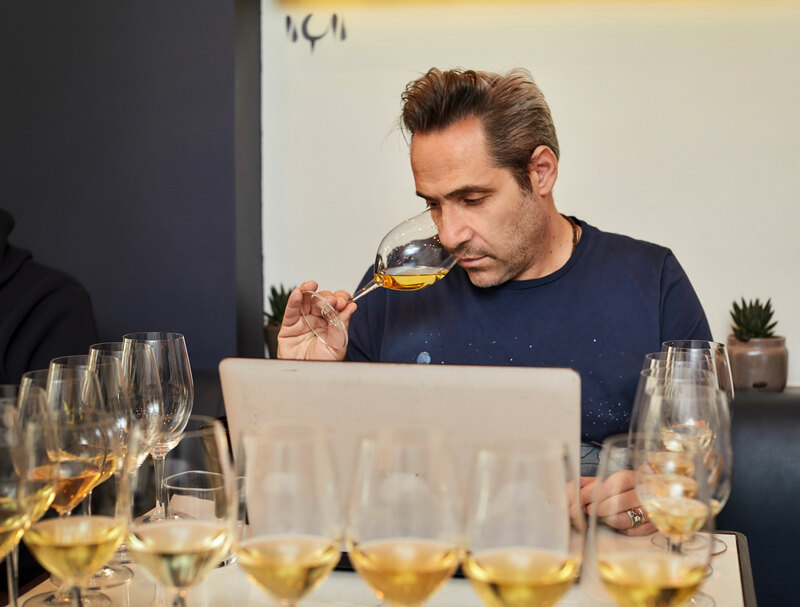 I invited wine consultant Gregory Michailos Dip WSET and former Gaia winemaker Demitris Akrivos, who has extensive experience with Santorini wines, to join me in this appraisal. I requested a 5 year old and a 10 year old Santorini (Assyrtiko) from each of the producers on the island, with no obvious oak influence. I felt it was important to determine the character of Assyrtiko, in its purest expression. There is an interesting point that readers of karakasis.mw should be aware of. Old vintages are a very rare find, as most producers have just started holding back vintages recently. Fortunately, producers were extremely helpful and eager to provide the required 5 and 10 year old Santorini wines, and my good friend, George Tsirpanlis, was kind enough to contribute a missing trio. The wines were tasted in two flights. The first flight included Santorini wines within the 5 year ageing spectrum, thus vintages of 2013, 2014 and 2015 were allowed. A total of 17 wines were tasted. Fewer wines were available for the 10 year trial, that included the vintages of 2009 and 2008, but also a few from 2012. Bottles sealed with screw cap were considered as experimental Santorinis and comprised a separate category (legislation permits any type of cork closure, but no stelvin). We will come back to that with our conclusions. Gregory Michailos: Only a handful of wines were outstanding, whilst even among those in the first flight, there were many disappointments. If I am correct, at least 3 of the top-rated wines were under screwcap, which may be the way forward. I was left with rather mixed feelings as I came across some outstanding, world-class, wines but also quite a few disappointing examples, which were heavily oxidized; even among those in the first flight with the younger wines. My safe drinking window would be up to 5 years for most of the wines; however, top examples could easily exceed 10 years of bottle ageing. 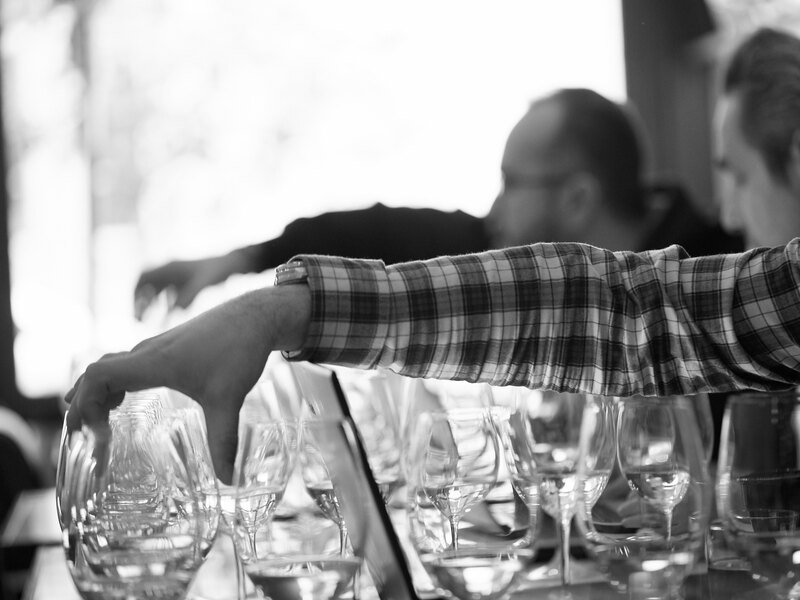 Demitris Akrivos: In the first flight there was an impressive disparity and inconsistency among the samples; some were utterly impressive and layered, with aromas of tea leaves and capsicum, and some were ‘tired’ and oxidized. The second flight showed even more inconsistency; many disappointments, albeit with some stunning wines amongst them, that may point us in the right direction. Our expectations of the wines that did not exceed 5 years of age, were obviously very high. One would guess that the tasting of such youthful wines would confirm this legendary ageing ability. This was confirmed in part, as only 35% of the samples revealed remarkable complexity. Amongst these, most were experimental bottlings, with screw cap closures, which are not permitted according to PDO legislation. Issues concerning the appearance of obvious oxidation, pose major concerns. A Hunter Valley Semillon-like character, toasty and nutty, shone through in the best examples. Τhis was obviously a far more challenging and demanding flight, with the 11 samples trying, very hard, to make the 10 year mark. Few succeeded; many had problems with oxidation, which remains the big concern. This flight proved that the way in which wines were handled 10 years ago, makes the 10 year window rather difficult to attain; yet, I am optimistic that nowadays the wines are made in a much more consistent way. 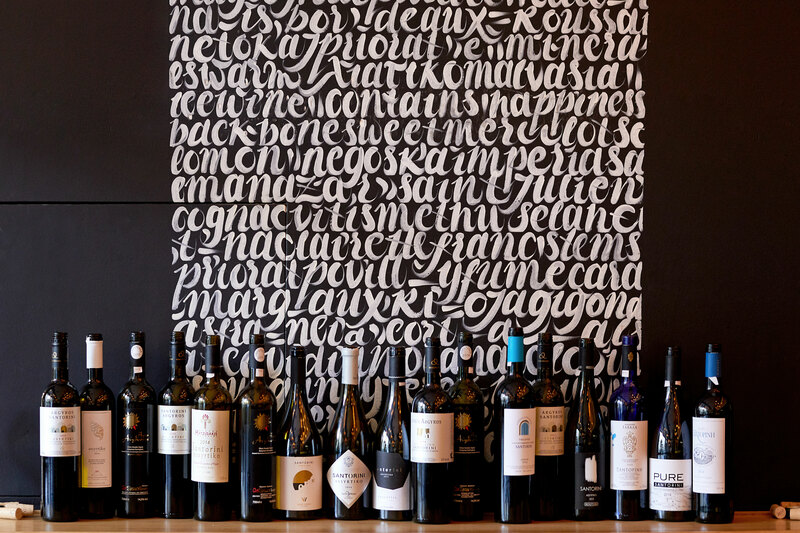 The general feeling was that the quality potential of Assyrtiko is unlimited, and some of the best white wines in the world are crafted on the singular terroir of Santorini. However, what we recognised in the tasting was that there is still plenty of room for improvement; this should alert those in favour of the unwarranted and premature shoot in prices, which have currently reached the levels of a premier cru Chablis, and even higher, in some cases. Santorini can age, and the brilliant examples show no sign of fatigue; they exhibit pale colours and an amazing nutty, toasty character, which resembles that of a Hunter Valley Semillon. For now, the 10 year mark is not one that is easily achieved, but I feel optimistic, that with the progress we are already witnessing on the island, future tastings may show even better results. Oxidation seems to be the biggest enemy of the wines, and this needs to be treated in a holistic way. Starting from the vineyard, through to the wine-making process, the cellar, to the choice of the most suitable closure. According to Akrivos the remedy would be to discover and select the most suited vineyards and to blend the wines from these appropriately. I would also like to emphasize the fact that the quality of the fruit is paramount to making age-worthy wines. Moreover, there is a universal feeling that winemaking methods should be improved by the protection of grapes with use of inert gasses and cooling. Last, but not least, there is a pressing need to further research the use of stelvin and to pass legislation that will conform to contemporary practices and will thus permit its use in PDO wines. Having said all of the above, it is important to realise that a stunning terroir is not enough in itself; effort needs to be put into the making of a wine, and it is imperative that the effort is zealous and constant. This would have to be our take-home message. * Μany thanks to the Oinoscent team and George Michelis for hosting us in their restaurant. 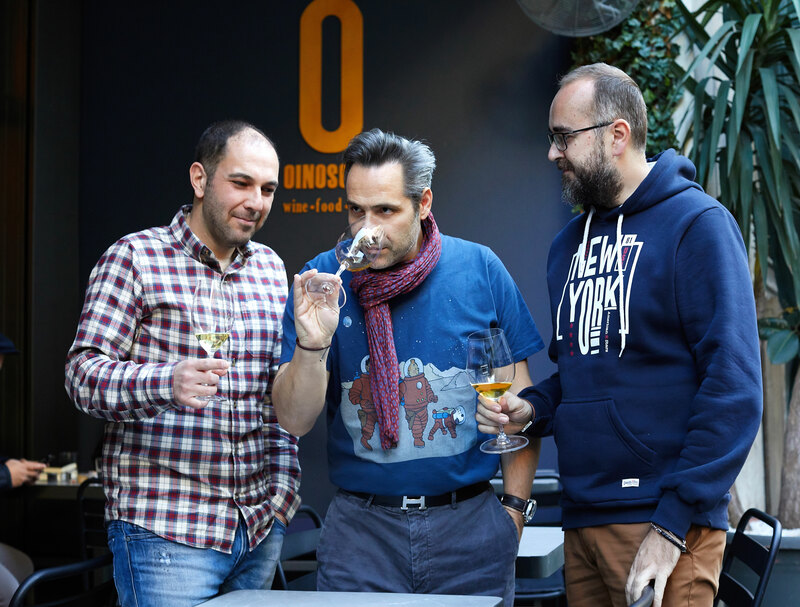 Thank you for sharing the article, the conclusions and recommendations as result of the tasting! Cannot agree more with the the deduction of significant variance in the quality of Santorini wines and their age-worthiness. Your message to the producers is very important in terms of reaching the full potential of the region and its delicious wines. What an excellent methodology to address the topic. Really well done! Very pleasant to read indeed and revealing some needs, there! I have a question about Argyros wines' labels: if I understand well, does the use of screw cap means that he labels these NOT as PDO Santorini? What is the next hierarchy level he uses, then? Thanks in advance! Fantastic article on a subject I have often thought about. Seems to confirm some of my personal findings.